"The same care which is given to the horse's food and exercise, to make his body grow strong, should also be devoted to keeping his feet in condition." This is as applicable today as it was thousands of years ago. Man has worked alongside the horse for ages. The cycles of life continue on, and we are part of those cycles along with the horses that accompany us. Modern day horse owners are becoming more and more like horse "stewards", caring for all of their horses' needs. We are obligated in these duties, as we are the ones who have taken them from the landscape and confined them. We are also taking a keen and more personal interest in their feet--it is no longer just the farrier's responsibility. Listening to and depending on the veterinarians, farriers, trainers or other horse professionals to tell you what is right and healthy for your horses shows respect for these professionals, but it is critical that you are at least able to recognise when a horse and their feet look normal and when they look deformed. Whether you are able to trim your horses' feet or not, knowing what they should look like is very important. Stewards are able to have a detailed and very intelligent conversation with any of these professionals if they are aware of some of the basics surrounding natural hoof form and function. You need to appreciate this fact: not every veterinarian, farrier and trainer knows what a normal horse's foot looks like, nor do they all understand how they function. Do not believe in anything simply because it is found written in books. conducive to the good and benefit of one and all, then accept it and live up to it. The damage actually begins before a steel shoe even touches the horse's hoof. A farrier's preparation of a hoof for the application of a steel shoe is extremely damaging in itself. A horse's foot never evolved or was intended to be flat. The natural, life-promoting, energetic shapes present in the natural hoof are disrespected and disregarded when one prepares the hoof for application of steel. Nails driven through hoof wall allow all manner of bacteria, fungus and filth as well as extremes of temperature, to enter the foot. The natural physical barrier to these things is breached multiple times by the nails--these nails also effectively provide for the structural breakdown of the hoof walls; their physical presence leverages the hoof walls material away from deeper hoof structures. Often, when a steel shoe is pulled off by a horse, the edges of the hoof wall often go with it. The increased level of concussive damage to the shod foot is well documented, and common sense tells us that steel next to a horse's skin would be damaging. The horse's foot is designed to handle the vast majority of the concussive forces received from the terrain. When steel is fixed to the hoof capsule, this responsibility is passed off to joints, cartilages and ligaments higher in the horse's leg and entire body. These joints and tissues never evolved to handle these forces, but man has forced them to take up this role that they were never designed to have. For the application of steel to the hoof, the result is direct, measurable damage to these areas. Let's also explore the increasing use of pads and other concussion-reducing materials. It is of interest and critical to note that concussion is reduced to a level below what is appropriate in horse's fitted with man made pads. The natural foot has the exact concussion absorbing properties that are appropriate for that horse on his home terrain. All of this marvelous ability is stolen away when man interferes with the application of artificial materials. Reducing this concussion below what is appropriate disallows the vital stimuli needed for the horse to produce durable hoof tissues, healthy cartilage and ligaments and strong bones. The horse is immediately set up and unwittingly asked to grow a weaker and weaker feet and legs with the application of artificial materials. The even slight increase of pressure on the soles of the horse through pad material is inappropriate and also damaging, as sole pressure smashes the sole up against the solar corium, reducing blood flow in these areas. The sole can respond with what can be termed a "dysplastic" kind of growth: this is an abnormal growth development which can be thicker in the short term, but is never as strong or durable as sole growth that forms when a horse is allowed to have their normal feet along with normal environment and care. Farriers misinterpret this faulty growth as "healing" when in fact it signals the early stages of hoof deterioration. This does not impress or alarm many farriers in the least, as they get very accustomed to looking at abnormal and deformed shod feet...they work with them every day...They are also accustomed to looking at abnormal bare feet when they are ignorant of proper trimming practices. Pads also increase the presence of moisture next to the horse's soles which is a good breeding ground for further hoof-rotting bacteria and fungi, which soften the soles in to a cheesy consistency, devoid of any durability. Pads also prevent the normal respiration and perspiration that occurs in the frogs and soles. The reduced circulation to the entire foot and leg and body of the horse through the application of such appliances can only serve to provide harm to the entire horse's body in the long run. All of these damaging things done to the feet add up over time, forcing unneeded healing to occur, removing life from the whole of the animal. Not just the feet are taxed, but the organs and all metabolic processes. These damaged tissues and their cells are only able to heal so many times, divide so many times and put up with insults so many times. Growth patterns become deformed extremely quickly in shod feet. All animals die when cells and the organs they make up are no longer able to divide and repair the damage. We should be looking to cure such problems instead of covering them up with pads and steel. This can be done quite easily and quickly when proper hoof form is achieved (as discussed numerous places in published books and on the internet) and proper lifestyle (also a subject which countless books now educate us about). The strength and durability of the horses' feet will be optimal when these natural means are provided, and they will far exceed such strength achieved using steel and nails. Steel shoes provide for the horse a living state of physiologic stagnation. Occasional and judicious use of hoof boots can be used to provide comfort for these horses, but are all but forgotten by farriers at times like these. Farriers feel they are doing their best when it comes to the "quick fix" to such situations, but they are actually causing further harm. 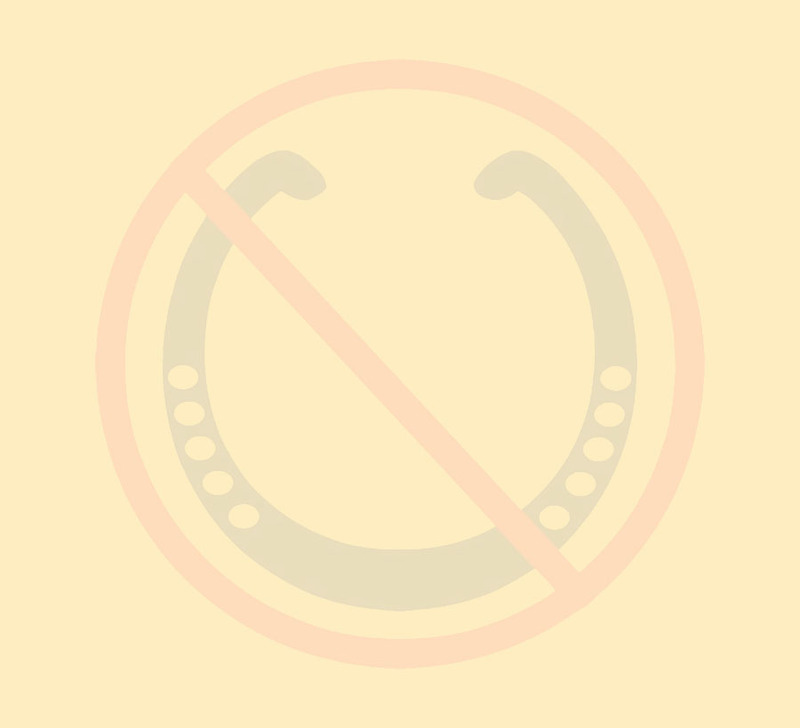 We know that the use of steel shoes reduces horses' ability to stay sound throughout their useful lives and ultimately shortens their lives, just as unsound horsemanship practices, inadequate environments and poor diets drastically shorten their lives. Farriery is hard work. I shod at least a few horses of my own every few weeks during my younger years, so I can relate to the pain and strain that comes with the tasks: the careful attention to detail, the ability to work well with your hands, skill working around a naturally shy animal and a caring attitude. None of these attributes are being brought in to question. But here is where the proverbial "rubber meets the road": No matter how hard you work to learn how to shoe a horse, no matter how hard that work is, no matter how difficult it is to actually do the work...all of these things don't make shoeing a horse the right thing to do. So, though I can relate to the farrier's struggles, the blood and sweat and tears, the dedication to a trade and the positive work ethic, these things simply don't make nailing iron to a horse's foot any more correct. When something is wrong, it's wrong. No matter how much money we can make at it, no matter how much of a tradition it is, no matter how long it took us to learn it, no matter how much money we spent learning how to do it...none of these things will ever make a wrong thing right. Steel hurts horse's feet, period. We have so many better options now. More and more farriers are coming to understand this and are encouraging people to get their horses barefoot every chance they get. Still, many people are uneducated and just go along with the conventional misconception that horses need steel nailed to their feet in order to perform any sort of tasks beyond simply walking down a trail. They depend on farriers to tell them "What's Up?" Well, "What's Up" is that we now know that steel damages horses' feet: every time, all of the time, one-hundred percent of the time, every minute that steel contacts a horse's foot, damage is being done. So this is a "Wake Up Call" to all that go out of their way to learn what's "new" when it comes to the truthful base of horse-keeping knowledge. Farriers and veterinarians and trainers and horse people everywhere must learn the truth and tell their clients, friends, contacts, and colleagues that the steel shoe is badly damaging horses and robbing them of years of their lives. To continue to knowingly and wantonly do damage to a horse's foot by nailing steel to it is not acceptable and will become more and more unacceptable as this knowledge becomes more "mainstream". If farriers in the months and years to come pretend they are unaware of this knowledge and fail to inform folks around you about this news, they should be held accountable for the damage done to the horses. This does not have to happen. Simply learn what's going on inside the horse's foot and learn how to recognise and achieve a proper hoof form. Go further and educate people about proper horse management. Mention that there is nothing good that can come to a horse from the use of a steel shoe, only damage. Talk about the judicious use of hoof boots. Let people know how dedicated you are to the welfare of the horse, and you will reap great rewards. If you simply want the monetary rewards, you can have it, as there are good people everywhere who are more than happy and willing to pay for proper trimming and counseling about how to keep their horses healthy. However, the personal rewards go much further than this for most caring people. I'd like to challenge anyone who doesn't believe that shoes harm a horse's feet to this experiment: Let your horse that has been shod for between three and six months grow it's feet on top of steel for as long as you want, pull off the shoes, leave it exactly the way it is or roll the edges or even trim it ANY way you like. Then, we see how the difference in wear looks in this horse versus my barefoot horse...we'll just take some leisurely 15 mile rides once a day for three weeks on some easy trails...nice and easy. Would you care to hypothesize which feet are going to look of the same length and structure after this three weeks and ready to go for another three weeks? Could your horse make it even for one of these rides? WHY? Your previously shod horse will be in a world of hurt. Why is it the de-shod horse is unable to walk and go to work with his own feet? Well, his or her feet that grew while on top of steel are of much poorer quality, density and durability...they will chip and break away (probably clear up to or above the nail holes given the damage in the area, and the horse may even become laminitic due to overloading it's toes due to it's unfamiliarity with heel mechanism and previously 'undetectable' separation...along with all the bruising due to poor sole integrity...on and on. I'm not sure I could actually allow the following experiment to take place! A veterinarian such as myself easily understands how the presence of a steel appliance on the bottom of a horse brings harm, and as other veterinarians, other equine professionals and stewards come to discover the true workings of the horses' hooves, they will not stand idly by while others perpetrate such harm. Once good folks like your veterinarian, farrier and trainer begin to better understand how the horse and their feet are constructed, function, grow, offer protection and allow proper and vital sensation for the horse to interact with their environment, they will have gained a very powerful new tool. However, as long as they ignorantly resort to or demand the use of a nailed on appliance and a confined lifestyle, they unknowingly, but precisely, provide for the premature deaths of the horses they care about. "Being admitted to the profession of veterinary medicine, I solemnly swear to use my scientific knowledge and skills for the benefit of society through the protection of animal health, the relief of animal suffering, the conservation of livestock resources, the promotion of public health, and the advancement of medical knowledge. To begin, this is just "facts of life" kind of stuff. It's also a fact that you can count on-that I will not ever ask you to consider shoeing your horse with steel. I have my strength in my belief about this and it is unwavering. If I began to cheat and occasionally say to someone that "well, this time I guess...OK, go ahead and nail shoes on"...or "gee, I guess that horse can't do it..." These sorts of things compromise my sense of strength and integrity--a very keen sense of integrity. I do not sit on the fence or beat around the bush on this issue. Steel causes a horse harm, and I simply can't abide that. I have read and understood the Veterinary Oath and I also have a keen sense of integrity. Certain folks can advocate both shoeing and going barefoot...I can not. This does not mean that you have to be as steadfast as I concerning the use of steel shoes. You are free to make your decisions based on the best information you can gather. In addition, many folks aren't eager or accustomed to giving the world their views about what they've learned to be true, let alone giving them in a way that shows outright strength and conviction. So it's no wonder that many of those folks also find it distasteful or rude or egotistical when someone else voices such strong opinions. Perhaps they surmise we ought "to all just try and get along", or "it's a big tent...room for everybody", or "we'll just agree to disagree". Once in awhile, you're bound to run across somebody with strength in conviction and rock-solid integrity that stands tall next to a belief system based on sound convictions, because those beliefs are what keeps them strong. Though generally unpopular, disliked and strongly ridiculed, a person who holds strong to what is right and calls attention to those that are wavering or those that are misunderstanding the information is more and more a rarity in our world. I am keenly aware of how it can appear as if I "know it all", or seem like "it's my way or no way", but of course that's not true. Such illusions are understandably fabricated by those who would label and convict someone who takes a stand against something so near and dear to them. This is "normal" human stuff. The things they've spent their entire lives working on are being called in to question, therefore I expect no less than the strong ridicule from these fellas to begin with. I am encouraging them, often forcing them, to examine themselves and their beliefs, and it's quite the painful process. I'm really quite good at the exercise, especially in person. I've had friends and other fellas that have shod horses for decades break down and sob over this stuff when it hits them. This is real and it is powerful. One can begin to see the importance in my strength of conviction concerning what we currently know as the facts in the case. It is not fine for me to hurt a horse "once in awhile", or "just this time" or to justify the act because "well, it sure would be convenient to nail shoes on for just this Spring...". I realise there are many, many uneducated/unaware people out there that don't want to worry about the extra efforts it will take to allow a horse their normal feet, so I am worrying about it for them, and trying very hard to show them, in as many different ways as I can, why this is so important to the horses. Truly, a "barefoot-friendly" veterinary perspective on these issues can be difficult to find, but is so desperately needed. I'm learning as I go along, and I am not immune to personal attacks. I pick up ideas on what is best to say and how best to say it, and I'll get better and better at it as time goes on. Learning how to better educate and more deeply influence those that have a difficult time admitting and/or seeing what it is the horse needs from us as their care givers is my goal. The feeling arguments from both sides are helpful to me, and I trust will be helpful to others in the long run. Certain things are said across the wires, but I very much doubt they would be said if we were standing together next to the horses. As of now, in a huge number of equine veterinary facilities the world over, natural lifestyle and the natural barefoot trim are not even mentioned as therapeutic options for lame horses. This is highly unacceptable and is a disservice to the horses we love. It is an omission that serves the egos of those who use horses as simple tools, rather than as the companion animals that serve us so willingly. As this time goes by, veterinarians and other equine professionals will have the opportunity to make the right decisions concerning the use of the steel shoe. It is so obvious to some and yet there are those that can't help but drive nails in to the hands of the horse, even after being told that what they are doing is causing damage. Whether from ignorant stubbornness or an addiction to working with steel or whatever the reasons, they will be held accountable if it continues once this information becomes more widely known. There will be more and more veterinarians picking up on this as the days go by, and the horses of the world are going to be healthier and more sound than ever. We will look at the horses in the future and see them as the magnificent specimens of power that they are. Seeing one with steel plates nailed to it's feet will draw criticism from those that respect and love the horse. We have ways of protecting horses feet (if needed), and they don't involve steel. We have to start paying attention to what we know: It is physiologically impossible for a steel shoe to offer anything therapeutic or beneficial to a horse. Our responsibilities and obligations to the horse and all our livestock are huge, and it has come to this. As a note to equine professionals everywhere, if you look at this information and understand it, please digest it and begin to apply it to the horses around you. Add this information in to your repertoire as authorities on the health of horses. Folks around the world are grasping some very fundamental concepts of horse care and the care of their feet. We must take a look at this information for ourselves, evaluate it critically, apply our knowledge of anatomy and physiology, and become an integral part of improving the health of the horse. Truth and knowledge are destined to win out; no matter the intensity of the wailing and weeping, no matter the fierceness of teeth gnashing, no matter how simple or complex the concepts turn out to be, and also no matter how easy or difficult it might seem to accomplish honest soundness. Many of us dearly love our toys, gadgets and contraptions--they matter none to the horse. So, it does come down to whether certain people have the time and dedication to achieve an honestly sound barefoot horse. If they don't have the time, they will need to ask themselves whether it's fair to force the horses to stay with them. Perhaps they will have to find some boots that will be comfortable for the horses, or maybe it will be necessary to hire extra help to get the horses moving...these sorts of things. This is leading us toward a deeper respect for horses: using steel shoes will no longer be justifiable. Steel "shoes" will no longer be seen as shoes, because shoes can be taken on and off at will. We have so much more better ways of TRULY protecting the feet than steel...it's really hard for me to even fathom using a steel shoe at all, for we know, and you freely admit their evil, that these devices are simply not offering anything beneficial to a horse! We can not continue to apply them to horses and feel good about it. To apply a shoe to a horse after becoming aware of what evil happens to that horse is contemptible. That means that if you're doing something even though you know it brings harm, that you are doing something worthy of scorn. Doing it before knowing this stuff is forgivable...I have admitted freely that only three years ago, I as a veterinarian was prescribing eggbar shoes, pads, impression material and special shoes...but now I can't do that anymore. I have changed. I remember many horses that have died at my hands because I didn't know of anything that would save them...and now I see horses just like them and they are better in a short time. This is life and death stuff, here, and that's why I use terms like "terminal" and "life-threatening" when talking about the effects of shoes and poor hoof form. Even if we didn't have any alternatives to the steel shoe, it wouldn't be justified to shoe horses given what we know about the effects...we are above that. Thankfully, we do have many options for horses to truly protect their feet and get them healed and stronger with every passing moment: the natural trim, based upon the rediscovered and continually-improved understanding of the workings of the equine foot, and a myriad of different boot designs, with more coming all the time. We need to learn about using boots and work harder on developing more user-friendly hoof boots. Boots allow a horse's feet to have vital mechanism with every step, and can honestly and completely protect the feet, whereas the appliances being touted as offering protection are actually causing damage. The farriers are professionals in the equine world. The horses and their stewards count on them. They are in the ideal position to learn about proper, natural hoof form and function: They have the clientele with the horses, the love for the horses and the tools and the knowledge of how they work. They only need to study more carefully and apply more carefully the natural hoof trim and counsel people on how their horses should be kept! It should be perfectly acceptable for them to counsel people on getting horses out of stalls, feeding horses grass in their diet, and getting the horses together in a herd where they can move each other around and be psychologically healthy. Hanging up the hammer for a farrier leads to championing a cause that is noble and stands solidly footed around a body of knowledge gained through the careful study of the nature of the horse. Coming in to this knowledge of the horse's hoof is a powerful thing! I encourage those who have gained this knowledge to use it with discretion. I encourage them to speak with conviction, but maintain an open ear to those who have concerns. Listen to others as they manifest their insecurities and ignorance concerning the use of steel shoes. You will soon discover that all the answers you provide for these concerns will flow directly out of addressing their concerns. When you show how much you care as well as how much you know about the horses and their feet, concerns turn to understanding, and understanding turns in to a changed life. This is the hallmark of dealing with the truth. It is never too late to start spreading the word. I know that fighting against the current and against the mainstream is difficult, but once you begin to grasp this information, a powerful energy will be yours to embrace: the power of the truth--the power to heal--the power of the horse. Tomas G. Teskey D.V.M was born in Fort Collins, CO as his father was finishing veterinary school. He was then brought back to the Dugas ranch in central Arizona where his family homesteaded in 1887. He grew up with the animals and four brothers and sisters, and was off to college in Prescott and then Northern Arizona University in Flagstaff. He then headed back to his birthplace in Fort Collins to attend veterinary school at Colorado State University with a new bride. Dr. Teskey and his wife came back to Arizona in 1995 with three daughters, and had one more daughter in 1997. He has been practicing in the same county in Arizona since that time, and mostly working on horses and other livestock. Dr. Teskey has attended both a two-day clinic and a 10-day groom course of Martha Olivo's, and is working on implementing the Whole Horse Trim into his practice as much as possible. This speech is copywrited and all national and international copywrite laws apply. Used by permission. Interested in learning more about barefoot trims? Click here to go to the educational page.